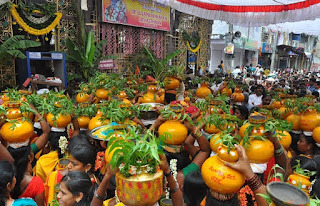 Siriyala Shashti festival is in honor of Lord Shiva, Bhaktha Siriyala. Siriyala Shashti festival in the Hindu month of Shravana, it is on 24th July 2012. Bhaktha Siriyala is one devote to lord shiva. Siriyala's family daily offering food to one man than only they will eat. One day no one has came because Lord Shiva wanted to test Siriyala and hence took the form of a beggar and went to Siriyala house. Siriyala took him to inside the house and offered food to the beggar. But he asked for the life of Siriyala’s son. Then Siriyala couple Without hesitation killed their son and offered to the beggar. 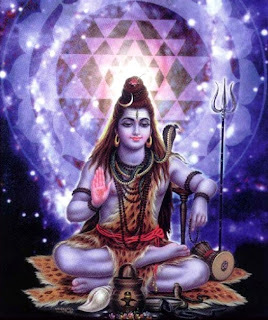 Lord Shiva was immensely pleased and appeared before them in his form and brought back the life of their son. This festival is celebrated in families who have been following this custom since generations. The mother of a male child performs the pooja and Lord Shiva is worshiped. The male children of the household are made to sit on wooden planks and an aarathi is perfomed.